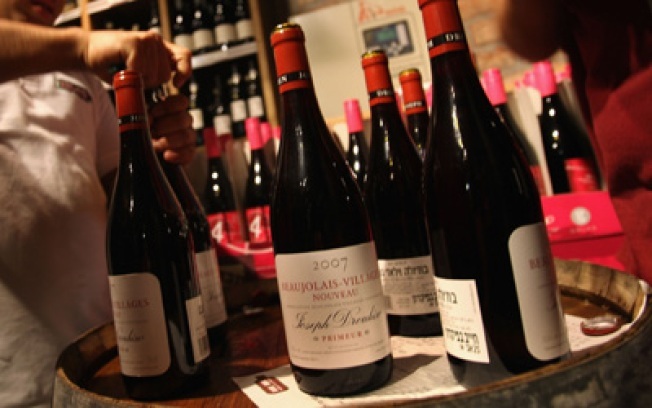 Wine to be Sold in Grocery Stores in NY? One item in Paterson's proposal could allow wine to be sold in grocery stores. Paterson's plans would allow wine to be sold in grocery stores. Now, admittedly, this is not just an initiative designed to civilize New York into the 21st century -- it's a change designed to let the state slap more taxes onto the sale of your favorite varietal. So the bad news is, you could start paying a lot more for wine. But on the bright side, could this news be any more awesome? No more having to make that extra stop at the liquor store on the way home! Now your favorite Shiraz will get to nuzzle up against your Kashi snacks and your broccoli rabe, just like it does in California and Maine. Now visiting Europeans won't be able to give you that withering look of pity when they realize the only "wine" available at your local Food Emporium is Marilyn Merlot. Perhaps most importantly, Trader Joe's grocery market and wine shop will now be one. Mr Joe, tear down this wall!